USD was empowered due to the US bond yields growth. The support rests at 111.080 with resistance at 112.680 which the weekly pivot point at 112.440 is located in between the lines. 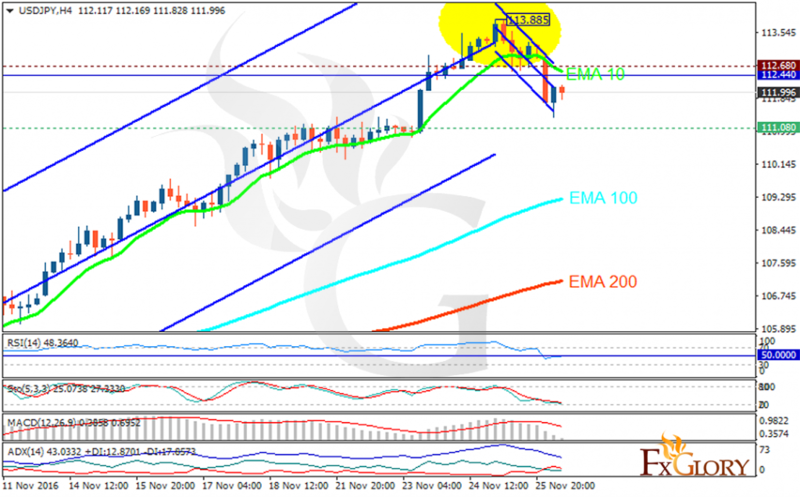 The EMA of 10 is moving with bearish bias but it is located above the EMA of 200 and the EMA of 100. The RSI is moving on 50 level, the Stochastic is showing downward momentum and the MACD indicator is falling down towards the neutral zone. The ADX is showing a weak sell signal. Sellers can target 111.00 while being cautious about the possibility of price growth towards 114 area.